The Auckland telegraph office on the first floor of the Chief Post Office was an open space as big as a football field. It was manned in the years immediately after the Second World War by a staff of telegraphists who worked in a roaring sea of noise: chattering Morse sounders in green tin boxes, pounding Morse keys on varnished oak bases, hammering Murray and Creed telegraph printers, and the hiss of sucking air from the Lamson tubes punctuated by the thumps of carriers ending their journeys against the stops like the retort of small cannon. Working alongside the telegraphists, setting down telegrams for transmission and picking up received telegrams were the best-looking girls in Auckland – or so Jimmy Preston, cadet telegraphist, thought. 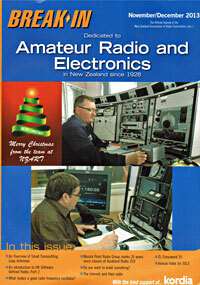 Edward J Brown was a Christchurch Radio Inspector and author.